You can complain about information overload Managing Digital Information Overload - Is Technology The Cause & The Cure? [Opinion] Managing Digital Information Overload - Is Technology The Cause & The Cure? [Opinion] ‘Drinking from the firehose’ is a turn of phrase you might not be familiar with. But believe me, if you are reading this blog and many others like this, it’s exactly what you are doing... Read More or you can just enjoy swimming in the digital stream. Actually, we shouldn’t crib about the fact that there is too much out there vying for our attention; we could instead look into our information diet Eating Only Dessert: Why Your Information Diet Is Probably Terrible [Feature] Eating Only Dessert: Why Your Information Diet Is Probably Terrible [Feature] Email. Social networks. Blogs. Online video. People today consume more information than ever before, and typically only consume the things they really, really like. Clay Johnson compares this to a bad diet. "If you only... Read More and make a conscious effort to pick up the choicest morsels. As a tech writer, I have no choice but to direct all my love to the best of resources that cover everything related to technology. 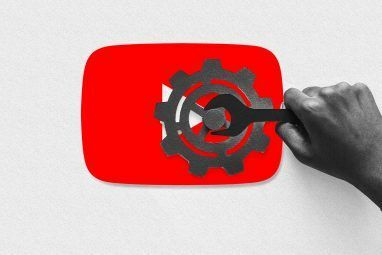 Sometimes when I don’t feel like reading, I switch on the browser and catch the best of technology in videos 10 Technology YouTube Channels You Can't Miss 10 Technology YouTube Channels You Can't Miss Read More . There are some pretty good YouTube channels on technology there in that last link. But that’s not the complete barrel. 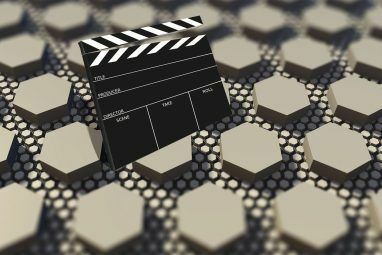 Here are ten more technology video websites if you like to catch the latest that’s happening in the world of bits and bytes. Okay, well this video resource does not cover the latest. In fact it doesn’t even cover the recent past because the very term is a misnomer in an industry where yesterday is history. The Internet Archive is after all about history of all that has transpired on the Internet. The Computers & Technology page is a collection of television programs, documentaries, and webcasts on the said subject. The video grabs are assembled into 41 sub-collections with many videos within them. If you are interested in geek history, this is a very nice place to come and watch. WSJ has a video page dedicated to life & culture, business, and technology among other things. The videos cover important tech events and whatever else that’s breaking around the tech world. The videos are constantly refreshed, and only the latest ones are displayed on the main page. To catch them as they happen, it would be better to subscribe to the site’s feed. Wired.com does not need an introduction. If you have any interest in technology (though it’s not only about that), then the magazine or the website should feature on your reading list. Alternatively, you can catch the video series’. Listen to Chris Baker’s rants on Angry Nerd or go into the gaming industry on Game|Life. The Wired Video series are a lot about pop culture as well along with the musings on technology. TechCrunch TV has one of the more comprehensive technology video websites on the web. As you can make out from the screen above, videos cover the entire gamut of the industry. Founder Stories and TC Cribs take you behind the scenes, while TCTV News and CrunchWeek keep you abreast of the latest news. My personal favorite is Speaking Of, which is a series of one on ones with achievers and their process. From technology demonstrations to product reviews, SlashGear TV takes on the latest in geek gadgetry. The focus is on consumer technology. If you are looking to buy the latest piece of hardware, check out the site because they just might have a video that starts with the unboxing and then goes more hands-on with a walkthrough. 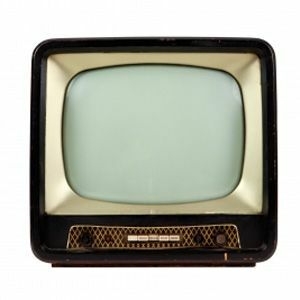 Fora TV has a mix of free and pay-per-view videos. The site has a distinct identity of its own because it focusses on covering conferences and events around specific subjects; technology being one of the main interest areas. The site explains that the videos on FORA.tv come from a diverse list of partners, including the world’s leading conferences, media companies, universities, think tanks, institutes and other major centers of thought and discourse. You can watch the free content and highlights of the pay-per-view content without a registration. You can register and opt for a free basic membership plan which allows you to post comments and save video programs to your personal FORA.tv library. Leo Laporte is a radio talk show host with a rich background in technology. TWiT is an acronym for This Week in Tech, and the site is the live streaming video version of the original podcast show. The show features 30 hours of original programming each week. The show covers commentary on the latest technological trends, product reviews, and how-to. The site is completely free and the netcasts are released under a Creative Commons Attribution Non-Commercial Share-Alike license. I came across the MIT Technology Review with a video that had Jack Dorsey talking about good technology. It led to more video “discoveries” that showcased technology discussions on the cutting edge. The videos dive into the practical aspects of new technologies and how they have the potential to change our society. From understanding the user experience design of Microsoft’s Windows 8 to meeting Baxter, a new kind of industrial robot, the videos cover a lot of ground. The videos are sporadically updated, but the variety of topics covered keeps me interested. Technology shifts faster than sand. It is impossible to keep pace with everything that’s happening around us. For the geek, more is never enough, and the internet obliges with varied resources like tech news aggregators 10 Websites Where Cool Computer Geeks Reside 10 Websites Where Cool Computer Geeks Reside Geeks were once ridiculed and reviled. Or perhaps that was just at my school. Either way, as first computers hit the mainstream, and then the Internet entered into our lives in a big way, geeks... Read More if you like to read or tech podcasts 5 Essential Technology Podcasts That Geeks Should Listen To 5 Essential Technology Podcasts That Geeks Should Listen To If you're reading this, I'm betting there's a good chance you quite like computers, the Internet, or technology in general. A few weeks ago, Dave showed you 10 websites that all geeks should bookmark. This... Read More if you like to hear (and watch). Perhaps, the trick is in applying some mental filters to focus on the news that matters. But it is always great to have choices. Here’s hoping that these eight technology video websites add to yours. There are bound to be some glaring omissions on the list and I am waiting for the comments to fill up those gaps. 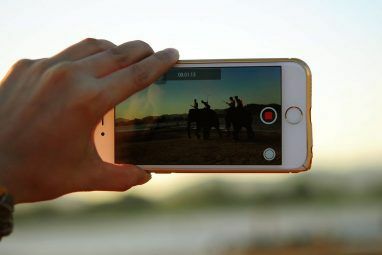 So, let us know about your favorite watering holes for videos on technology events. Great selection, thanks a lot. We have recently launched Simulty, a website combinator to navigate and search on multiple sites simultaneously. I have created a list with your selection here http://j.mp/13C2ZjF, so you can search for videos on all them at once. CNetTV is also useful to checkout at times. That's interesting to include Internet Archive. I never thought of it as a tech website, but it seems to be. Generally, I don't really watch tech videos as the publishing companies put tons of annoying ads and videos aren't really my thing for consumption of tech.